When UK Prime Minister Theresa May opened the Conservative Party conference on Sunday, one thing became clear: HMS Britannia had been chartered at full steam out the European single market, heading for somewhere in the mid-Atlantic. Outlining a destiny which looked more like Canada than Norway, May gave the clearest indication yet of what Brexit means: a clean break with the EU’s rules and institutions and establishing the UK as a sovereign state, free of “supranational” oversight. Just three days later, with the pound at a 31-year low, the ship’s captain appears ready to drop anchor as cartographers scramble below deck. Single market membership is not ruled out, Downing Street says. The mixed messages left observers wondering how May plans to position herself as she approaches Brexit. But all indications suggest she is searching for a wholly new form of economic relationship — one which poses a series of conundrums for Brexit negotiators. On Sunday, May told Conservative Party members that the UK would assert full autonomy over its immigration policy, leave the jurisdiction of the European Court of Justice and be free to set its own laws in fields such as food labeling. The new relationship with the EU, May said, would be in the form of a bilateral “agreement,” adding that a settlement like that of Norway and Switzerland — which provide conditional access to the single market — would be inappropriate. That seemed to rule out full membership of the single market. The three elements May mentioned — free movement of labor, judicial oversight from Luxembourg and regulatory harmonization — are fundamental tenants of the EU’s single market. Rejecting these rules means no access. But May’s stance also raised problems for trade relationships that rely on powerful supervisory bodies to enforce agreements. 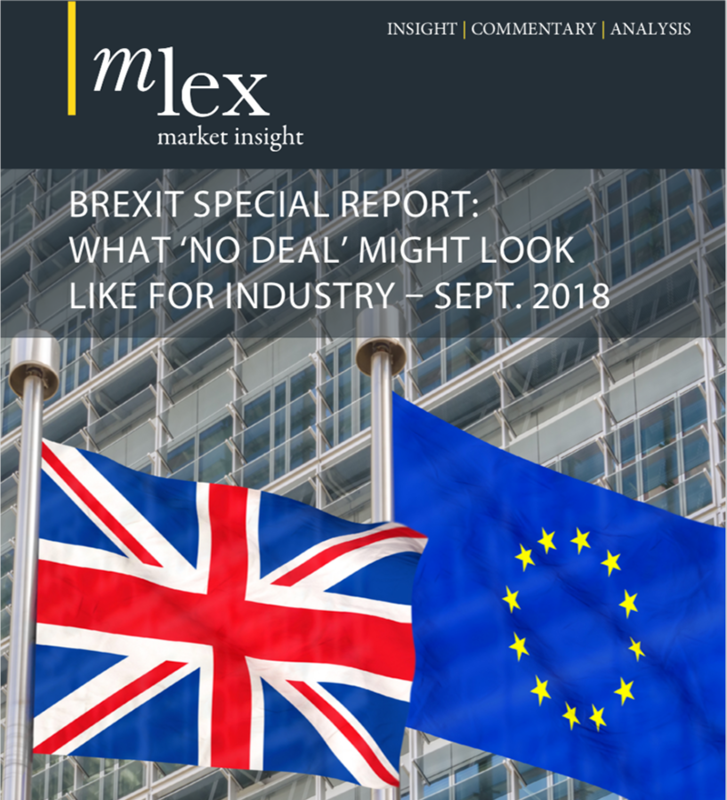 Many international investors had been hoping the UK would seek a “soft Brexit,” retaining the single-market membership that has made Britain an attractive base for their European operations. But by Monday, after May had all but ruled out that scenario, the pound had tumbled against the euro and the dollar as the implications of the speech sank in. As the Conservative Party conference in Birmingham wore on, the government’s tone softened. Downing Street officials — who are concerned about being pigeonholed into a model — declined to confirm or deny that they were leaving the single market. But while repeating that the UK would exit the “jurisdiction” of the EU’s Court of Justice, she did not repeat her remarks about “supranational” judicial authorities. MLex understands that Downing Street is open to other powerful regulators to police the new agreement. May’s goal, it became clear, is to retain the economic benefits of single market membership while breaking loose of its legal constraints. That, in turn, presents a series of conundrums for the negotiators. May said today that Britain will “not give up control of immigration all over again.” But is it possible to detach migration from any sort of trade negotiation, after 43 years of labor market integration with Europe? After all, Norway and Switzerland are bound by the principle of free movement of labor, and cross-border migration rights play a growing role in other international trade deals that cover services and investment. And how can the British government’s desire to end the writ of European law in Britain be reconciled with the need to match EU standards that regulate what flows across its borders — from bank lending to eggs and vacuum cleaners? And what powers will the UK want to grant a future regulator that oversees the new relationship? The three single market states that sit outside of the EU — Norway, Liechtenstein and Iceland — are subject to an EFTA court, which closely mirrors the case law of the EU’s Court of Justice in ruling on compliance with laws, for example, on state aid and bank guarantees. If absolute sovereignty is the goal, this model is problematic. The EU’s proposed trade deals with the US and Canada have floundered after a public backlash against powerful investor courts that, critics say, undermine national sovereignty. And the EU is pushing a new International Investment Court that will be the new arbitrator for trade deals. But without a powerful arbitrator, British companies could be vulnerable to attempts to lock them out the European market by continental politicians and industrial lobbies. Finally, and perhaps most significantly for businesses, what in practice does the right to operate “within” the single market mean? Could British-based companies expect any greater freedom than American, Ukrainian or Australian firms, which are already able to open subsidiaries on the continent? If not, then the era in which a single UK headquarters could be used to serve clients on all of Europe could be at an end. May began her speech today by declaring the week had answered her critics. “Do we have a plan for Brexit? We do.” Businesses will take some convincing.